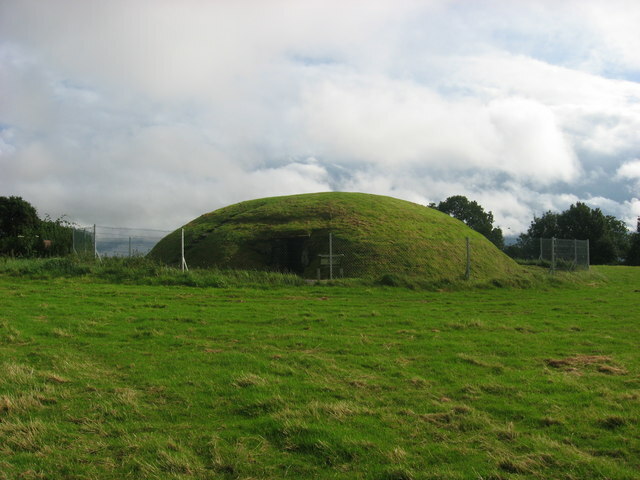 Excavated in 1950-52, this small mound contains a large cruciform tomb with three recesses opening off a central chamber. Many stones bear megalithic art. The roof, originally timber, was restored using a concrete dome. A new wire cage detracts from the setting. This page has been viewed about 774 times.